LabDiet Certified High-Fiber Rabbit Diet is a complete life cycle diet formulated using managed formulation, delivering Constant Nutrition. When growth, lactation and reproduction aren’t major factors, this supports the nurturing of research animals. This product has many benefits including: pre-analysis monitoring assures maximum diet control, fulfills GLP requirements, and each package is examined prior to shipment for environmental contaminants. This diet has the highest quality of ingredients to assure minimal inherent biological variation in long-term studies. Click here to view nutritional information on this diet. Lab Supply is proud to provide a number of high-quality LabDiet products. Learn more about this product or other LabDiet Rodent Feeds that we offer on our website. If you would like to order LabDiet Certified High-Fiber Rabbit Diet then please call our store at: 800-262-5258. We are located in Fort Worth, Texas. 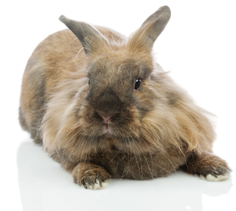 For any additional information or questions about Certified High-Fiber Rabbit Diet, contact us here.